Clark Francis has been providing the highest standards of tennis coaching in Dubai for more than 20 years. This centre is affiliated with Tennis Emirates and is believed to be one of the best tennis academies in Dubai. They offer an extensive range of programs with a large variety of activities. 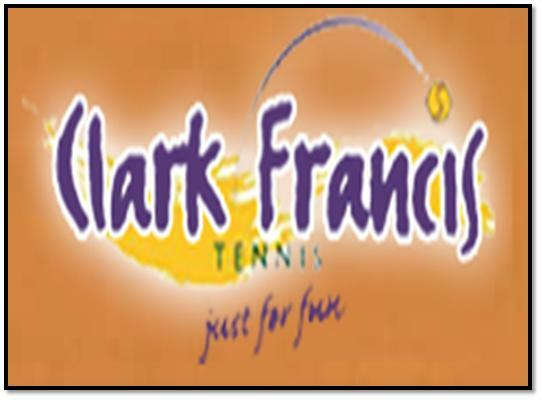 Clark Francis aims to provide their students a professional and friendly environment so that they can learn the basic techniques and tactics of tennis. They also organize the Junior Masters Series in order to promote the young talent. Moreover, the winners of this series are sent to French Open, Roland Garros in Paris on the company’s expense. Apart from that, they train and teach their coaches, which ultimately helps them to attain the relevant coaching qualifications and teaching experience that they need to deliver quality lessons. In addition, they offer various league matches and comprehensive programs for every age group. Clark Francis is well known for providing wide variety of products and services to the players so that they can groom and become world-class players. Clark Francis remains open for seven days a week. They offer services between 6 am and 11 pm. Clark Francis is providing its services in various locations of Dubai. Check out your nearest venue in order to get the quality services of Clark Francis. There are many advantages of being a part of the Clark Francis Tennis Academy in Dubai. The overall professional training that one gets from the skilled coaches and instructors is second to none. Many people looking to get started with playing tennis and might feel that you have a future to make it professionally in this sport should definitely join the academy to get professionally trained and assessed. You will find a whole host of different programs for the entire family. The main goal is to make you a better tennis player and that is what Clark Francis Academy can definitely do for you. If you are serious about tennis and want to improve your game then joining the academy can definitely be worth your while.